You have not registered yet! Sign in or Sign up! 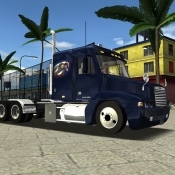 18 Wheels of Steel (sometimes abbreviated as 18 WoS) is a 3D animated series of trucking simulators published by ValuSoft and developed by SCS Software from 2003 to 2011. The series currently has 7 installments. Much of the game's data is in a file named "base.scs". This file can be extracted with most zip compression software. 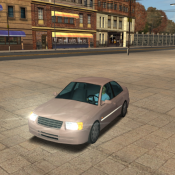 Within the new folders are most of the game textures, including terrain, truck skins, backgrounds, and others, as well as code for cities, trucks, and other in-game objects. 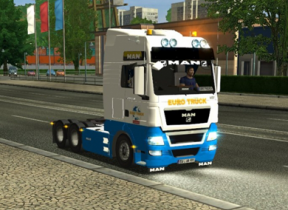 While the game's publisher, ValuSoft, does not provide support on exactly how to "mod" the game, there are several communities and sites dedicated to that purpose, creating even new maps and trucks.